When you stay at Verano Resort in Noosaville, you'll be near the beach, within a 10-minute drive of Noosa National Park and Hastings Street. 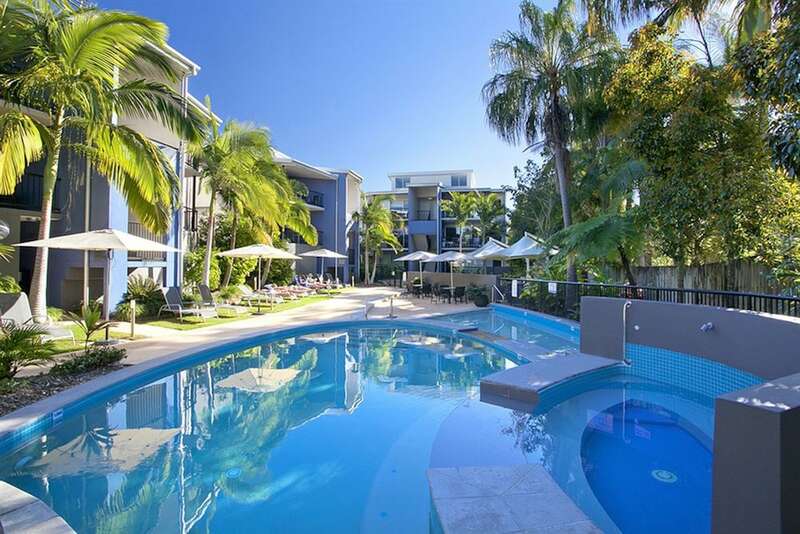 This family-friendly apartment is 2.8 mi (4.4 km) from Noosa Beach and 11.2 mi (18 km) from Coolum Beach. Make yourself at home in one of the 28 air-conditioned rooms featuring kitchens with full-sized refrigerators/freezers and stovetops. Rooms have private furnished balconies or patios. Flat-screen televisions with satellite programming provide entertainment, while complimentary wireless Internet access keeps you connected. Conveniences include phones, as well as separate sitting areas and microwaves. Enjoy recreation amenities such as a spa tub or take in the view from a garden. This apartment also features complimentary wireless Internet access, babysitting/childcare (surcharge), and tour/ticket assistance. Enjoy a satisfying meal at Thai Square serving guests of Verano Resort.